The Sultan of Sokoto Muhammad Sa'ad Abubakar III, has reacted to the recent Operation Python Dance in Abia State, and appealed to Nigerians to live in peace with one another. 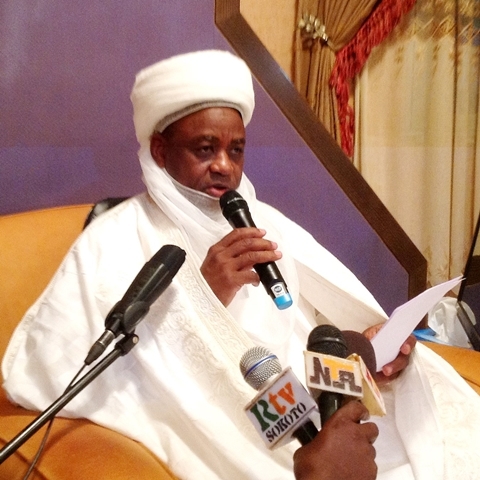 The Sultan of Sokoto and President-General, Nigerian Supreme Council for Islamic Affairs (NSCIA), Muhammad Sa’ad Abubakar III, has urged Nigerians to live in peace with one another for the unity of the country. He made the appeal against the backdrop of the rising number of civilian deaths linked with the on-going military invasion of the South-east and the resultant reprisal attacks in various parts of the country. The monarch, in a statement issued in Sokoto yesterday, said that religious and community leaders should be given a chance to wade into the pockets of tension which threaten the continuous survival of the nation. He said: “I am calling on all Nigerians to imbibe and embrace the culture and spirit of living in peace, irrespective of tribal, ethnic or regional differences. “Nigeria would continue to remain one nation with a common goal of purposeful development. The action of some should not be allowed to tear the country apart. “Bad ones among our people should be called to order by their elders and community leaders. “I challenge elder statesmen to call the youth to order and educate them on the need for peaceful coexistence in their respective geo-political zones. The Sultan said Nigeria was brought together by an act of God, despite the different ethnic group, religions and diverse rich and beautiful cultures to form one country. He said God would protect the sovereignty. He further tasked the federal and state governments as well as security agencies in their collective efforts to bring sustained peace and development to the country.